The Canary – Much Better than a Watchdog! We are all getting used to the idea of a connected home. It feels good to have the security of knowing your house is being looked after, when your not there. Some of the set-ups seem a little more complicated than others. So it would be nice to have a simple device, easy to install, that kept an eye on things, and could notify me of any problems. Well, check out the Canary, a sleek little gizmo that contains an HD camera and a microphone, it can also monitor temperature, humidity, and the air quality with its integrated sensors. You simply need to place the device in a centralized location within your home, plug it in, and connect it to WiFi, and the Canary will text or call you if there’s anything amiss. The Canary will even play HD video of the event for you, or let you watch it live. Glad my parents didn’t have stuff like this when I was a kid! 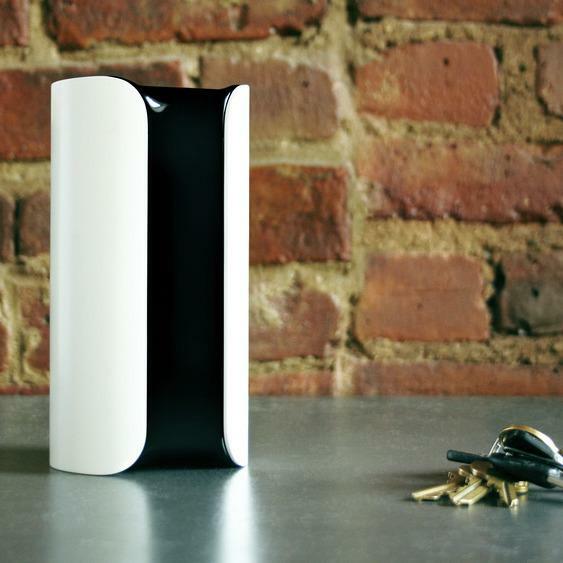 The Canary actually learns the normal flow of activity within your home. It begins to monitor when you leave, when you get back, and when the home should be still, this information helps “train” your Canary so it can send you smarter notifications and fewer false alarms. When you DO receive an alert, the Canary allows you to assess the situation, and with the touch of a smartphone button, you can call the police, sound the 100+ dB alarm, or just ignore it. So if you’d like to know there was a sentinel at home, watching over things while your away, the Canary might be just the thing for you. As part of a highly successful crowd-funding campaign, they are sold out for now, but you can head on over to store.canary.is and sign up to be notified when the 250 dollar Canary will hit the shelves in your area.